The brutal assault on four Dalit leather tanners by an upper-caste mob in Una for skinning a dead cow still reverberates in Dalit villages and bastis in Saurashtra, albeit in simmering undertones. Hurt lingers, the pain is subdued but it is pride that is more seriously hurt than the body. The hurt and pain caused by the Una flogging did result in loss of votes and seats for the BJP in the 2017 state Assembly elections. However, Dalits form less than 8 percent of total voters in the state. But they are spread across the state, and, if managed well along with STs, OBCs, Patidars and Muslims, they form a formidable vote strength of about 88 percent. And that's the worry for both principal players. The BJP is more worried, as dominant communities like Patidars, STs, Muslims, SCs and a big chunk of OBCs are not exactly happy with it. This feeling is palpable in the sprawling Junagarh Lok Sabha constituency in which Una falls. Small talks at a roadside tea stall near Talala inevitably veer around to the ongoing electioneering and people join in with their opinions. Manjibhai, who belongs to the Valmiki community, is the most vocal of them all: "Things are going good for the BJP this time," he says. Others nod in agreement. But why? The villagers have no clear answers to their assessment. They only mumble that BJP believes in "use & throw" politics. But as I reach Junagarh, the picture becomes clearer. Dalit anger, combined with other factors, can upset the chances of sitting MP Rajesh Chudasama. He is contesting against political heavyweight and MLA from Una, Punjabhai Vansh, who resigned from the state Assembly to take on the BJP. Meanwhile, the BJP has unleashed its full force here. 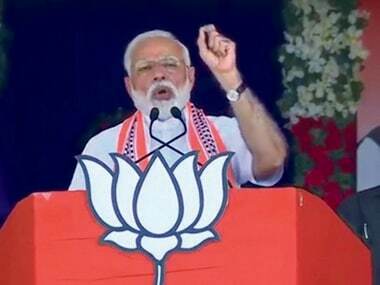 Prime Minister Narendra Modi campaigned aggressively on 10 April, along with a large number of state leaders, including Chief Minister Vijay Rupani. 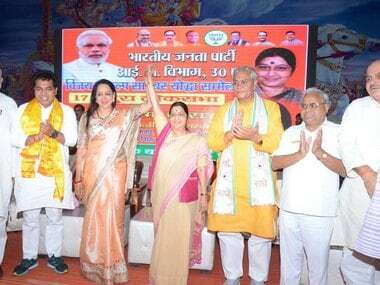 Local BJP leaders confirmed that when Modi left, Rupani stayed back and held a marathon meeting with the local leaders to assess the situation and chalk out a strategy. Madhabhai Boricha, ex-BJP MLA from Junagarh and himself a Dalit leader, is busy criss-crossing across Dalit pockets. The BSP has also fielded its candidate from Junagarh to cash in on anti-BJP sentiments. "He (BSP candidate Deven) is a political nobody and his being in the fray will only help the BJP," Boricha said. Acting on the strategy chalked out by the BJP top brass, Boricha has created two teams focused on the Scheduled Castes to go to each of the seven Assembly segments and spend four days in each one of them. The team comprises one former MLA and a set of district level leaders. "The team will travel in two vehicles, and in the next 11-12 days, will cover Junagarh, Somnath and Veraval extensively," Boricha said. The BJP is most vulnerable in these areas. The Dalits are seriously disappointed with the BJP, its state leaders and also Prime Minister Narendra Modi for not standing up for them after the Una incident. The Congress and BSP are trying every trick to use anti-BJP sentiments to their advantage. "Even the prime minister did not utter a single word after the Una incident, in which Dalits were mercilessly beaten up by cow vigilantes in July 2016. So, what can Dalits expect from such a party and such leaders?," says Punjabhai Vansh. The BJP had miserably failed to assess the seriousness of the incident, which had led to massive rallies across Gujarat. This saw the emergence of a potent face of the Dalit agitation in Gujarat in the form of Jignesh Mevani. These rallies were followed by an equally forceful campaign by Abhadchhed Mukt Bharat Andolan (Untouchability Free India Movement), in which Dalit members of the Gujarat Legislative Assembly and ministers were asked to explain what they had done to fight discrimination against Dalits in Gujarat and whether they approved of the attacks by cow vigilantes. 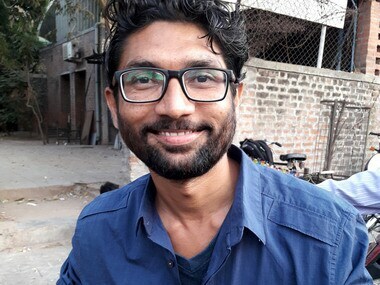 File image of Gujarat MLA Jignesh Mevani. Image procured by Bishan Kumar. Riding high on anti-BJP sentiments, 38-year-old Jignesh Mevani (otherwise a political novice) contested his first Assembly election from the reserved seat of Vadgam and won as an independent candidate. His victory enthused Dalits across the board and filled them with new hope. 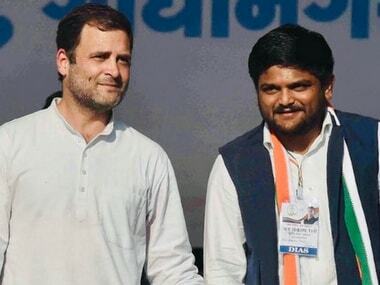 Other young leaders like Hardik Patel (who emerged from the Patidar agitation) and Alpesh Thakor, who belongs to the OBC community, were seen as the new torchbearers of their respective communities. Mevani and Patel have solidified their positions as leaders of their own communities, while Alpesh Thakore's gamble failed and he could not get a seat from the Congress even after joining its ranks. He resigned from the party just two days ago. Punjabhai Vansh said, "Whatever they (BJP) do, the Dalit voter is dead against them. Their successive governments have done little for the betterment of this most helpless class of our society, except making tall claims." Pradeep Khemani, state convener of urban and local bodies, does not agree with Vansh. He said, "Whatever happened in Una was really sad and deplorable, but Dalits have also realised that it was the handiwork of a few people, and they cannot blame the BJP for it." Khemani accepted that there are some genuine grievances, but also mentioned a big list of schemes like free education to girls, scholarships to students and the Ujjwala Yojana. He went on to blame the Congress for the appalling conditions in which Dalits are forced to live in. The Congress, on its part, does not seem to be bothered about what the BJP is up to. Party legislator from Junagarh, Bhikhabhai Joshi says, "History since 1970 says that whenever any prime minister has campaigned in Junagarh, the party candidate has lost the seat. 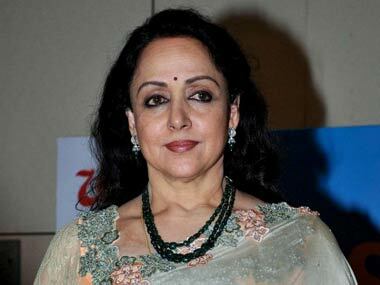 (Modi) came here on 10 April, and the visit will ring the death knell for the BJP's fortunes."